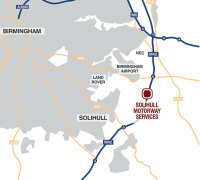 An outline planning application for a proposed Motorway Service Area alongside the M42 near Catherine de Barnes was submitted by Solihull Council 30 June 2015. 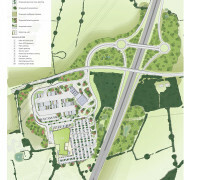 The outline planning application seeks approval for the development of the site for a Motorway Services Area (MSA), Motorway Junction, connecting access road and associated works. All matters, excepting access, are reserved for subsequent detailed approval including appearance, landscaping, layout and scale. 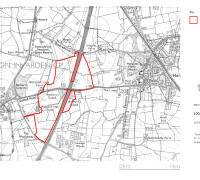 The site is greenfield land located immediately adjacent to the M42 and Solihull Road, to the east of the village of Catherine de Barnes and west of the village of Hampton in Arden. 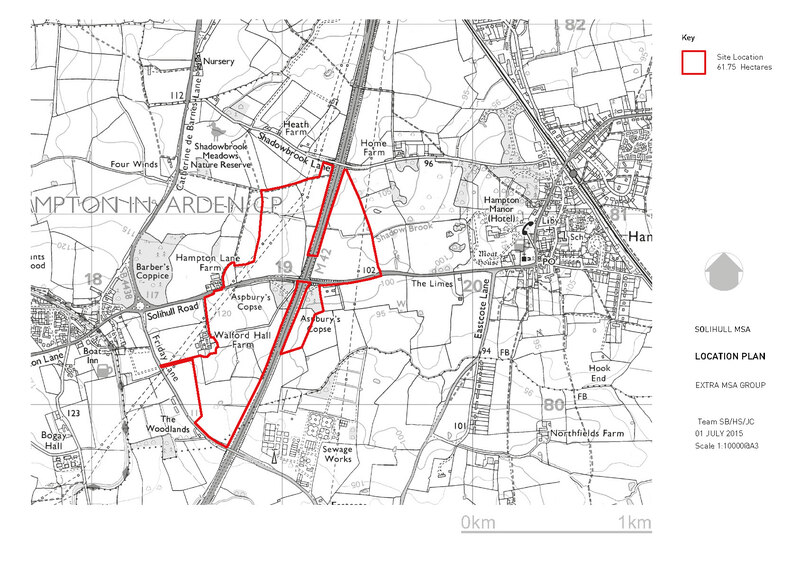 The overall site area is approximately 61.75 hectares. 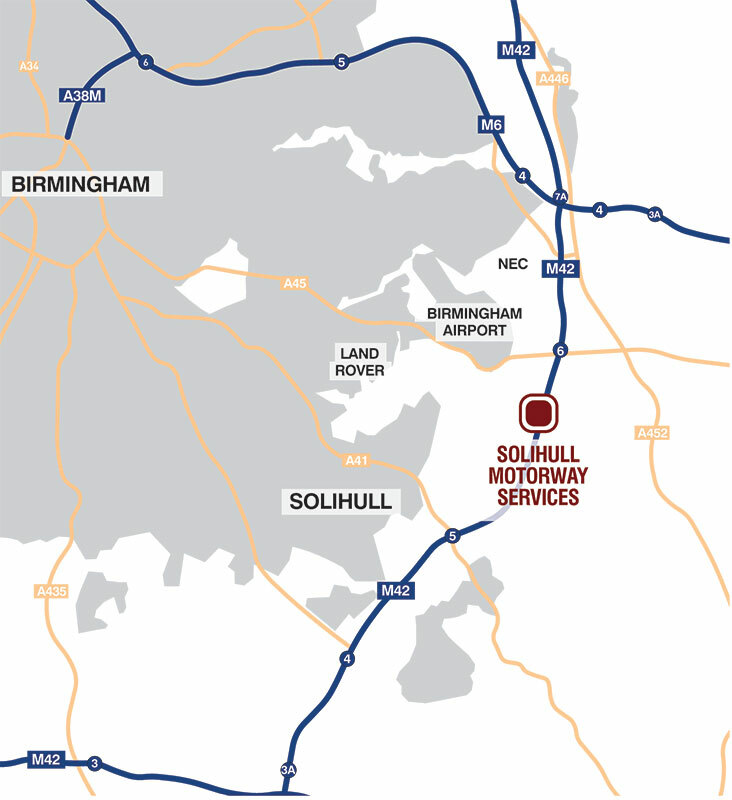 The development will address a significant gap in the provision of MSAs on the West Midlands section of the UK Motorway Network, meeting an acknowledged ‘need’ for a new MSA in the Solihull section of the M42. An illustrative Masterplan showing how the site would be laid out and how access would be gained can be found to the right. 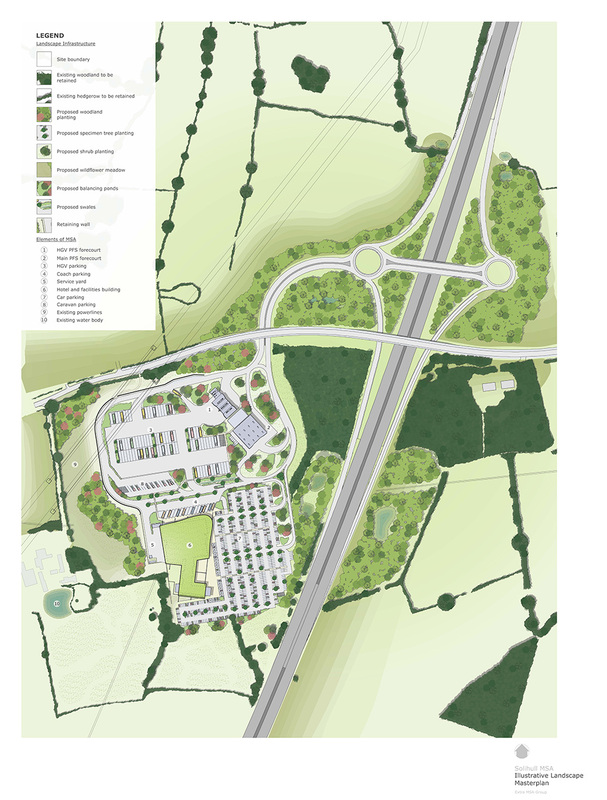 This plan and the design of the building has changed as a result of comments received in response to the public consultation in December 2014 / January 2015. A separate application to restore Walford Hall Farm House, a Grade II* Listed Building, with a sensitive conversion scheme for Office and Business Centre use, has been submitted alongside the MSA application. This application (Reference Number PL/2015/51541/LBC and PL/2015/51540/PPFL) can be viewed on the Council’s website. Following a grant of Planning Permission, construction would start approximately 6 months later and would last for 12-15 months.